Equine Influenza, otherwise known as equine flu, is described as the most potentially damaging of the respiratory viruses that occur in horses in the United Kingdom, with symptoms including high fever, coughing and nasal discharge. It is not usually fatal, although there can be complications from pneumonia. Incubation can take two to six days and horses can remain infectious for seven to ten days. Recovery can sometimes take several months. Why is there so much concern? Equine flu is highly contagious and can be airborne over reasonable distances as well as being transmitted indirectly, including via people. Have there been outbreaks of equine flu in the past? Yes. Mandatory vaccination of racehorses was introduced by the Jockey Club in 1981 following an outbreak in 1979 which caused widespread disruption. A further outbreak occurred in 1989 in which vaccinated horses were not protected. The most major recent outbreak was in 2003 when more than 1,000 horses were affected in 21 yards in Newmarket. However, racing continued during that outbreak. 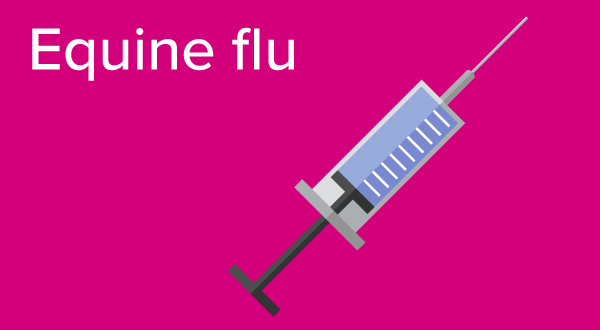 In February 2019, the British Horseracing Authority (BHA) reported there had been three positive cases of equine flu in vaccinated racehorses and announced that all meetings in Britain were cancelled for 6 days. The decision was taken so as not to risk further spread of the disease. National Hunt Jumps or Flat Racing? National Hunt or Flat racing? There are two types of horse racing – National Hunt and Flat racing. In National Hunt racing, commonly known as jumps racing, horses are required to jump obstacles over distances ranging from two miles to more than four and a quarter miles. The two types of obstacles in jumps racing are hurdles and fences. Hurdles are smaller and horses are generally campaigned over hurdles before graduating to racing over fences (in chases). Not only are horses able to race over different distances, but they are also eligible to race in different divisions. Novice races are designed exclusively for horses who are racing in their first season over hurdles or fences, or for those who have never won a race in that sphere. Handicaps are the most common type of race over jumps. In handicaps, horses carry differing amounts of weight based upon the ability they have shown in previous races, whereas in conditions races horses carry equal weight regardless of past form. Horses can race on the flat under National Hunt rules, in races known as bumpers which are designed to give inexperienced horses an introduction to racing without being required to jump obstacles. The other horse racing discipline is Flat racing and, as its name suggests, horses have no obstacles to negotiate. Horses race over distances varying from five furlongs to about two and three-quarter miles and, unlike in National Hunt racing, the horses begin their races from starting stalls. Like jumps racing, handicaps are the most common type of contest in Flat racing. Conditions races also exist, as do both gender- and age-specific races. Where jumps racing has novice races as a division, Flat racing has juvenile contests, designed for two-year-old colts or fillies embarking on their first season of racing. Horses can race on turf or on all-weather surfaces, where the going consistently remains as standard, regardless of weather conditions. The majority of Flat race meetings in Britain take place on turf, with the exception of the all-weather tracks at Chelmsford, Kempton, Lingfield, Newcastle, Southwell and Wolverhampton (Kempton and Lingfield also have turf tracks). Every racehorse in Britain is looked after by a trainer, who prepares it to race over jumps or on the Flat. These trainers make the day-to-day decisions on how a horse is cared for on behalf of its owner and choose which races a horse is aimed at. Horse trainers also oversee final preparations on race day and advise jockeys on the tactics they should use to get the best from the horse. They often walk the course before racing to make their own assessment of the track conditions. In charge of stables, trainers manage a large group of staff to take care of their horses. The size of training yards (another term for stables) varies substantially and the bigger yards are often reliant on the support of major owners. For instance, leading Flat trainer Mark Johnston, who trains at Middleham in North Yorkshire, has much of his stable taken up by Sheikh Hamdan Bin Mohammed Al Maktoum’s enormous collection of horses. Similarly, owners such as JP McManus contribute many top horses to leading jumps trainer Nicky Henderson’s Upper Lambourn yard in Berkshire. Jockeys ride the horses on race days and often follow the instructions issued by the horse’s trainer, but sometimes they use their own initiative. Winning a race reflects well on the jockey, while losing can provoke a search for riding errors. A jump jockey’s career is usually over by the age of 40, but there are fewer falls in Flat racing and its riders can keep going for decades. Famous jockey Frankie Dettori is still winning big races in his late 40s. On the Flat, young jockeys are known as apprentices and are given a weight allowance as an incentive to trainers to give them rides. As the number of winners they ride goes up, the weight allowance goes down. Capable apprentices can be in great demand and it is enjoyable and rewarding to try to spot promising young riders before their talent is widely noticed. Horses carry bigger weights in jumps races, which means jockeys can be heavier. It is a dangerous sport in which injuries are common. The most famous jump jockey is Sir Anthony McCoy, who was crowned champion jockey 20 times in a row before his retirement in 2015. These are jump racing’s version of apprentices. Like apprentices on the Flat, they are given a weight allowance as an incentive to trainers to give them rides. As the number of winners they ride goes up, the weight allowance goes down. They aren’t professional jockeys and don’t get paid for riding. They do it for fun. Both on the Flat and over jumps, some races are restricted to amateur riders, although over jumps amateurs also ride regularly against professionals. The standard of riding has improved considerably over the last 30 years and amateurs now approach the sport in a more professional way. If their weight permits, they sometimes turn professional after a successful amateur career. It seems unimaginable now but in 1966 Florence Nagle had to take legal action to force the Jockey Club to end its practice of refusing to issue training licences to women. Now there are a number of leading women horse trainers, including Jessica Harrington, who has won many top-level races on the Flat and over jumps. There are two types of horse races, jumps and Flat, and each one incorporates different classes and types of races. 2,000 Guineas – Run at Newmarket racecourse in May. A one mile race for 3-y-o colts. 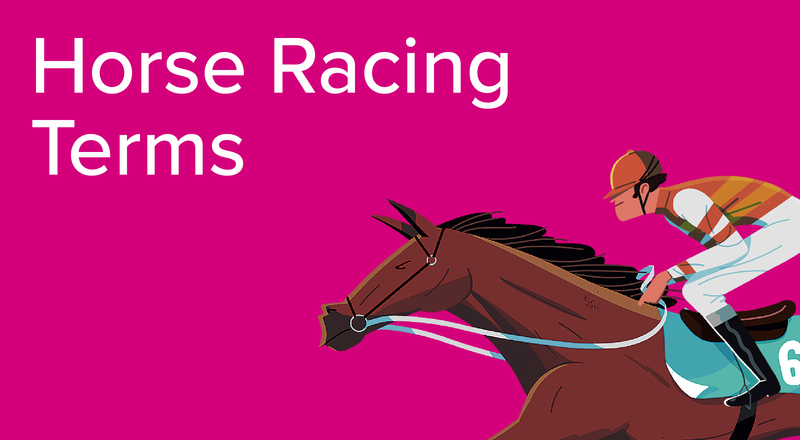 1,000 Guineas – Run on Newmarket racecourse in May. A one mile race for 3-y-o fillies. Oaks – Run at Epsom racecourse in June. A one mile four furlong race for 3-y-o fillies. Derby – Run at Epsom racecourse in June. A one mile four furlong race for 3-y-o colts and fillies. St Leger – Run at Doncaster racecourse in September. A one mile six furlongs race for 3-y-o colts and fillies. All the Classics are classified as Group 1 races and top-class horses are campaigned towards them throughout their two-year-old and early three-year-old careers, when in the spring a number of them appear in Classic trial races. Group races are the most well-known and the best races, divided into three categories – Group 1, 2 and 3. Many of them are restricted to certain age groups (from two-year-olds to four-year-olds and older) or to a specific gender (eg fillies only) and they are spread throughout the racing year to form a programme of races over different distances and at a range of racecourses. The highest level is a Group 1 race; these are the highlight events on the racing calendar. Group 1 races are a test of class and all the horses run off level weights but allowances are given for three-year-old horses against older horses and for fillies and mares against colts and geldings. Group 2 and 3 races are still of high importance but are a step or two below the top tier in terms of quality. In these races the weights are calculated in a similar manner to Group 1 contests, but there is also the addition of penalties to make the races more competitive. Penalties, in the form of extra weight carried by the horse, are given to horses who have won at an equal or higher grade within a certain timeframe. A Listed race is a further step down from Group level, that is just below Group 3, and the same weight penalties apply. The majority of horses end up competing in handicaps. Every horse is assessed after each race by a team of handicappers and given an official rating, which usually increases if they run well and decreases if they don’t. In a handicap race, each horse is allotted a weight based on its rating – each point represents 1lb. For instance, if a horse rated 90 carries 9st 8lb, a horse rated 88 will carry 9st 6lb. Handicap races are often restricted to a specified ratings band, for example 0-90. The highest rating a horse can have in a Flat handicap is 110; beyond that, they would have to compete in Group and Listed races. Some of the handicaps are highly valuable and historic races such as the Wokingham, Cesarewitch and Ebor regularly attract fields of 20 runners or more, if safety limits allow. These top-level handicaps are rated as Class 2 handicaps; the lower the ratings band of horses who can compete, the lower the grade of handicap, the lowest being Class 7. National Hunt Flat races – commonly known as bumpers, these are for horses bred for jump racing. No obstacles are jumped and the races are seen as a building block to a future career over hurdles or fences. Novice hurdling – Horses who begin the season having not won a hurdles race can compete in novice hurdles until the end of the season where they pick up their first hurdles win. Hurdling – Horses can compete over hurdles in open company, racing in either Graded, handicap or selling company. 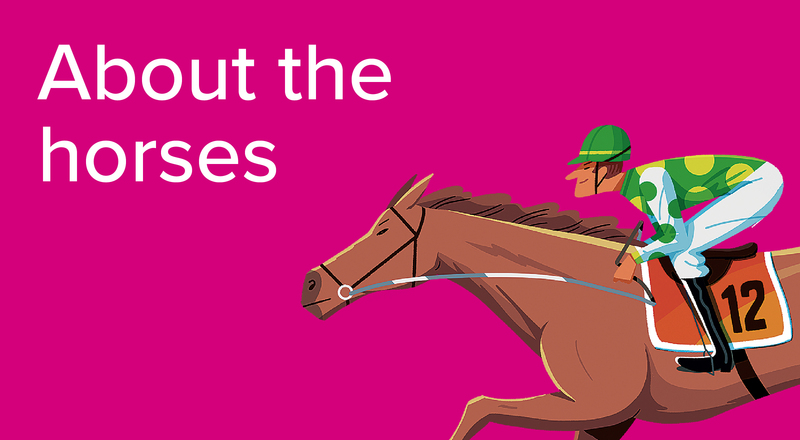 Novice chasing – Similar to the novice hurdle division, the novice chasing division is for horses who begin the season without a win specifically over fences. They can run in novice chases until the end of the season of their first win over fences, or until another specified date. Chasing – A division for horses running over fences in open company, again competing in either Graded, handicap or selling company. The grading system for jump racing follows the same rules as the Flat races, but races are called Graded races instead of Group races. The highest level is Grade 1, where horses compete off the same weight (but with allowances for age or gender), and this includes illustrious races such as the Cheltenham Gold Cup and the Champion Hurdle. One of the other key differences is that over jumps the handicap ratings are much higher than they are on the Flat. There are also Grade 3 handicaps over jumps, which are often highly prestigious prizes such as the Grand National and the Ladbrokes Trophy (formerly the Hennessy Gold Cup). The racehorse is arguably one of the most pampered animals in the world. They are bred to race and, while trainers seek to maximise their ability on the track, part of the process is providing the 24-hour nutrition, exercise, care and attention they need to thrive as animals, aided in these roles by superb stable staff. Horse racing welfare is paramount in all yards. The earliest age horses begin to race differs between the two codes; on the Flat, many horses will make their debut at the age of two, while jumps horses first appear as three-year-olds. The difference is simply due to the natural development of the horse physically. Flat racehorses, particularly those who become top class, often have a short racing career due to their value as stallions or broodmares. On the other hand, successful jump racing careers can last for many years, with ten- and 11-year-olds often competitive in that sphere of racing. Male and female horses can compete against each other, in the same way that jockeys and trainers do in racing. A young male horse is known as a colt but is called a horse from the age of five onwards. A male horse is known as a gelding if it has been castrated, with horses usually gelded when it becomes apparent they will not be used for breeding. A young female horse is known as a filly but is called a mare from the age of five onwards. In Britain and the rest of the northern hemisphere, all racehorses are considered to have their birthday on January 1, regardless of what their actual date of birth is. The breeding of all modern racehorses can be traced back to one of three horses: the Darley Arabian, the Godolphin Arabian and the Byerley Turk. The three foundation sires were brought to Britain in the late 17th and early 18th centuries, and all modern thoroughbreds descend back to one of these three stallions. Breeding is a massively important part of the sport and only the best colts are considered for stallion duties. Likewise, a high-achieving filly or mare is more likely to secure a breeding date with a top stallion. Horses with highly sought-after pedigrees can change hands for millions of pounds long before they hit the track for a race day. The world of horse racing contains plenty of confusing words, some of which may mean very little to the unseasoned horse racing fan. 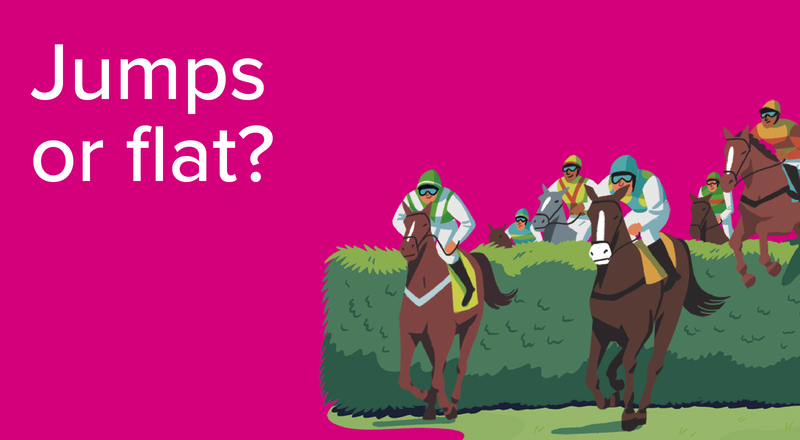 This handy jargon-buster can help you understand some of the common horse racing terms, so you can join in with the horse-talk next time you’re at the races. Abandoned The status of a race or racecourse described as closed, usually as a result of bad weather. Age The age of a horse. All-weather A synthetic racing surface usually made from sand, which generally is not affected by the weather. The deduction in the weight a horse must carry. This can be a result of the age or the gender of the horse or the type of jockey (amateur). A bet placed in advance of the final declarations of a race. Bookmakers usually offer better odds, but no refunds are given in the event of a non-runner. Backward A horse not fit or fully developed. Banker A supposedly certain bet. The on-course bookmakers, often close to the running rail, who compete against one another for trade. 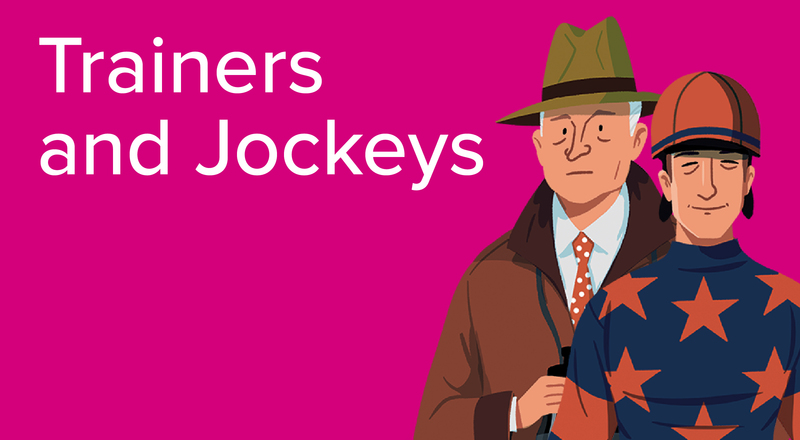 Traditionally an integral part of the racing experience, bookmakers with names like Jolly Joe, loud check jackets, and voices like foghorns used to shout the odds and hand our colourful cards as receipts. While their clerks entered the bets in their ledgers and tic tac men, standing on orange boxes, waved their white gloved hands in signals of the trade, communicating changes in the horses’ prices. Bit A bar (usually made of stainless steel) that sits in the horse’s mouth and is attached to the bridle. Black type A race which is of Listed or Group class. A type of headgear fitted to a horse that limits its field of vision, mainly from each side. Blinkers are designed to help horses concentrate in races. A term used to describe the part of the racing industry which deals with racehorse breeding, be it at the sales, stud farms or elsewhere. Boxed in When a horse cannot obtain a clear run during a race due to other horses being in close proximiity. A sale in which unraced two-year-olds are ridden, galloped or ‘breezed’ along the racecourse. Most of the horses have been purchased as yearlings, and are then broken in and ridden in preparation for them galloping at the sale. Bridle A piece of tack that fits over a horse’s head and to which the bit and reins are attached. Broodmare A mare (female horse) at stud who is kept with the aim of producing a foal. Brought down Used to describe a horse who falls because of another horse, rather than falling independently. Also known as a National Hunt Flat race, and usually run over two miles without any obstacles. Commonly used as a way to give horses race experience before tackling hurdles and fences. Chase A race run over fences. A form of headgear which consists of pieces of sheepskin placed on either side of the bridle and performs a similar job as blinkers in helping the horse to concentrate. A jockey who takes weight off a horse to compensate for their relative inexperience as a rider. Their claim is reduced the more winners they have. Grade 1 contests confined to three-year-olds only in Britain. There are five Classics in Britain: 2,000 Guineas, 1,000 Guineas, Oaks, Derby, St Leger. Clerk of the course The person responsible for the overall management of a racecourse on a raceday. An uncastrated male horse aged four years old or younger. A colt older than four is referred to as an entire or horse (if still racing) or stallion (if at stud). Connections A term often used in place of a horse’s owners and trainer. Dam Mother of a horse. When the raceday judge cannot split two or more horses at the finishing-line, the prize is split between the horses and a dead-heat is called. A formal notification from a trainer that notifies the racing authorities they intend to run a horse in a certain race. Horses are commonly declared at either the 24-hour or 48-hour stage prior to a race. 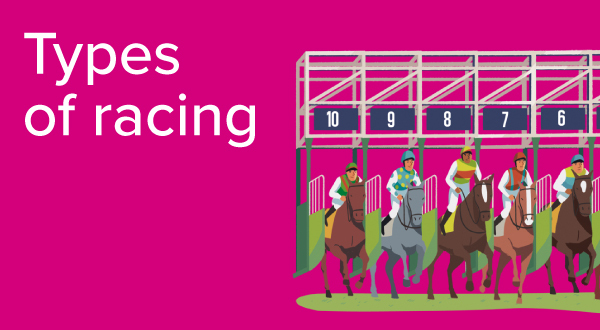 Draw A term in Flat racing denoting a horse’s position in the starting stalls. The type of obstacle jumped during chase races. There are different types of fence, including an open-ditch, the water jump and a plain fence. Filly A female horse aged four or younger. Foal A horse aged younger than one. A horse’s race record which is denoted by figures next to its name in a racecard. The form may also include some letters, for example F denoting a fall. An imperial unit of distance measurement in horseracing. A furlong is an eighth of a mile or a little more than 201 metres. Gallop A training strip used to exercise horses. Trainers have access to either their own private gallops or public gallops. Gelding A horse who has been castrated, often to improve its temperament. Going The underfoot conditions at the racecourse. GoingStick A device used to measure the underfoot conditions at the racecourse. The highest quality of race. Grade or Group 1 races are the highest quality, with Grade 2 and Grade 3 races a slightly lower quality. Hacked up A phrase used to describe a horse who has won comfortably. A type of race in which horses carry different weights depending on their overall rating, which is determined by the handicapper. Handicapper An official who assesses how horses should be rated, based on their previous performances. Hood Another type of headgear fitted over the horse’s head to cover its ears and muffle the noise of a raceday. The obstacles jumped during a hurdle race. They are smaller than fences and therefore take less jumping. Sometimes referred to as flights. Refers to anything that happens during a race, and could refer to in-running betting markets or in-running race comments. The length of a horse from its nose to the start of its tail, and a measurement used to describe the distances between horses at the finish line. Listed race A race type one step below Grade 3/Group 3 contests. Maiden A horse who has yet to win a race. Mare A female horse aged five or older. Nap A bet considered to be the most likely winner of all bets during the day. Known as jumps racing. One of two racing codes, the other being Flat. National Hunt racing is best known in Britain and Ireland. Neck A measurement used to describe a winning margin in a close finish. A short head is the smallest winning margin. Non-runner A horse withdrawn from a race for which it had been declared. A strap that goes over a horse’s nose to secure the birdle. They can help prevent the horse from getting its tongue over the bit which can obstruct its breathing. A race for horses who are in their first season in that code of racing. Can have age specific conditions, particularly on the Flat. Nursery A handicap race for two-year-old horses. Odds The chance offered for a selection to win. Also known as price. Off the bridle A term to describe a horse not travelling well. On the bridle A term to describe a horse travelling well. One-paced A term used to describe a horse who cannot quicken when the tempo of the race increases. Open ditch A fence with a ditch on the take-off side, forcing the horse to make a longer jump than at a plain fence. Outsider A horse whose chance of winning is considered unlikely by the market. Pacemaker A horse who races with the aim of ensuring the even tempo of race, thus helping a stablemate who would benefit. Paddock The area of a racecourse where horses are paraded before each race. Often referred to as the parade ring. Parade ring The area of a racecourse where horses are paraded before each race. Also referred to as the paddock. A close race finish, requiring the raceday judge to consult a photo before declaring the winner or a dead-heat. A photo can also help determine the placings behind the winner. Pulled up A horse who is brought to a halt during a race by its jockey. A horse who is keen during a race and wants to go faster than its jockey is allowing. Often described as pulling for its head. Punter Someone who has had a bet on the outcome of a race. Pushed out A term to describe a horse who has gone clear of its rivals in a race after minimal urging from its jockey. A programme giving information about the races scheduled during a race meeting and the horses set to run in them. Schooling A term to describe a horse being trained and getting practice over obstacles. Sire Father of a horse. Sprinter A horse who competes in races run over a short distance, usually over six furlongs or less. Stallion A male horse used for breeding. Stalls The box from which horses begin Flat races. A phrase frequently used by race commentators or in post-race comments referring to a horse who finished strongly during the closing stages. Stewards’ inquiry An inquiry held at the racecourse on a raceday after any given race. The panel is advised by the stewards. Stud An establishment set up for breeding of horses. Stallions are based at studs and are sent mares to breed with. Tattersalls The main auctioneer of racehorses in Britain and Ireland. Thoroughbred The breed of horse best known for its use in horseracing. A strap or piece of stocking used to tie down a horse’s tongue to prevent the tongue getting over the bit which affects a horse’s breathing. To win the Flat Triple Crown in Britain, a horse must win either the 2,000 or 1,000 Guineas, either the Derby or the Oaks, and the St Leger. There is a staying chasers Triple Crown for jumps horses consisting of the Betfair Chase, the King George VI Chase and the Gold Cup. Turn of foot A term to describe marked exceleration during a race. Under starter’s orders Before a race, the starter brings the field of horses into order to prepare them for the start of the race. Undulating A track that does not have a flat terrain. Cheltenham is often referred to as an undulating track. A type of headgear, much the same as blinkers, which limits a horse’s rearward vision to aid concentration. A visor differs from blinkers as it has a small slit in the eye cups. Every horse in a race has to carry a certain amount of weight. To ensure it does, all jockeys must weight out both before and after a race. The ‘weighed in’ announcement made after the race means the result stands. Whip An instrument used by jockeys to help keep horses under control and to encourage them. Yard A term that refers to a trainer and their horses. Also referred to as a stable. Yearling A young horse between the age of one and two.